As the next door neighbor to Wisconsin and also sharing a border with Canada as well as access to the Great Lakes, Michigan is well known as the auto making heartbeat of America. The big three carmakers have had their headquarters located in Detroit for decades, producing domestic cars that just about everyone has driven in one form or another. Michigan's capital sits in Lansing, but the state also has major urban locations situated in Grand Rapids, Ann Arbor, Kalamazoo, and Flint. The state is unique in the fact that it has two large peninsula land masses within its territory, offering a significant variety of locations where to live in-state. Michigan is one of America's largest states, both in terms of land mass and population. Home to nearly 10 million Americans, it is the country's 9th largest state. By total area, MI is 11th largest. Not surprisingly, the state has a very large economy as well, producing over $380 billion per year. Although it's well known for the auto industry, Michigan is home to numerous other publicly traded companies such as Whirlpool, Kellogg, Delphi, and Stryker. As of this writing, the average home value in MI sits between $110,000 and $120,000. The average single family home lists for around $130,000. The most expensive cities in the state, by median home price, are Bloomfield Hills, New Buffalo, and Birmingham, where the average home will set you back nearly a million dollars. At the opposite end of the spectrum, former manufacturing hubs such as Detroit and Flint have homes for sale in the $20,000 range. Median home values can be misleading, and MI is one of the states where that is very clearly the case. Let's face it, Detroit has a very poor reputation at this point. It's known for crime, urban blight, and a shrinking population - it's fallen by a quarter in the past decade. The last part is somewhat misleading - while the city proper has shrunk, Detroit's metro area is home to over 5 million, more than half of Michigan's total population. 80% of metro Detroit's workforce works in the suburbs in industries such as biotech, IT, and healthcare. The city itself is attempting an urban renewal, and notable contributions are coming from Quicken Loans CEO Dan Gilbert. Located along the Grand River, Grand Rapids is also known as the River City. It's also the largest city in Western Michigan; Detroit is located in the east. Cars, furniture, and airplanes are all manufactured here, and the largest employers include Meijer, Spectrum Health, and Spartan Stores. This Forbes article cited Grand Rapids as the best city to raise a family. Lansing is the capital of MI with a total metropolitan population of over 450,000. The city is also the home of Michigan State University. Lansing's economy is driven by manufacturing, finance, healthcare, and the government. If looking for a property to purchase in Michigan, either on the coast or in-land, RateZip.com can help find competitive loans for home buying. Your first step will be to determine what type of mortgage loan is right for you. Though it can seem overwhelming at times, we'll try to simply things into the few most important options for you to consider. If you get a fixed rate mortgage, or FRM, you are getting a loan where the interest rate will remain constant, meaning the monthly payment will also remain constant. These mortgages help homeowners make long-term financial plans knowing that this monthly payment will never change. The 30 year fixed is the most popular, though there are also 10, 15, and 20 year varieties. An ARM is an adjustable rate mortgage, and unlike a fixed rate, the interest rate and monthly payment will adjust after a short initial period. You will often see ARMs written like this: 1/1, 3/1, 5/1. This means that the interest rate is fixed for 1, 3, or 5 years and then adjusts every year thereafter based on an index. 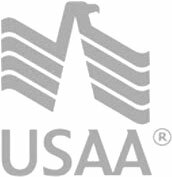 In this case, we're talking about mortgages insured by the Federal Housing Administration (FHA) or the Veterans Administration (VA). FHA home loans are significant because they are often a great option for first time home buyers - credit standards are lower than for conventional mortgages, and the required down payment goes as low as 2.5%. VA loans are for veterans of the armed forces and offer similarly favorable terms for borrowers. If you need a large loan to buy your house, you may need what's known as a jumbo mortgage. Jumbo home loans cover mortgages that are too big for Fannie Mae and Freddie Mac, and you'll usually pay a premium for these mortgages and may need to put down a larger down payment as well. Home equity loans and home equity lines of credit are financial products that allow homeowners to tap into the equity that they've accumulated over time. These are "second mortgages" that are placed on top of your home mortgage loan.